With a modern fleet of aerial drones purposely designed for specific Utility drone inspection and surveys, we are able to offer a powerful alternative to traditional inspection and survey methods for businesses in the utilities sector in Scotland and England. Traditional methods of power line inspection have involved remote sector tests, binocular inspection from the ground and crane lifts. With power lines traditionally spread out over vast distances of land and commonly on harsh terrain (especially in the Scottish Highlands), the difficult access of these power lines has made it difficult to perform consistent and reliable inspections at a reasonable cost and time frame. With the use of our utility drone inspection and survey services, you can now gain vantage points which were literally impossible to traditional methods just a few years ago and you can inspect significant distances of power line in a single drone flight. 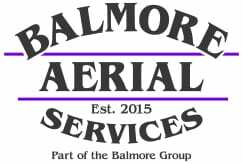 The Balmore Aerial Drone pilots are all fully qualified to pilot commercial grade drones and we are incredibly proud to provide a quicker and more accurate power line inspection and monitoring service than traditional methods whilst also offering a significant financial saving and reduced risk of human life while working at heights. With our aerial drones, we can capture 4K HD video and images that can be stored for analysis by utility power and infrastructure experts and reused for comparison inspections in the future. This in turn can offer significant benefits as weak areas can be spotted and monitored more regularly and appropriate repairs can be conducted in a controlled manner. To find out more about our aerial drone services tailored specifically for the utilities industry, please call our Glasgow head office on 0141 370 4037 to discuss your requirements.